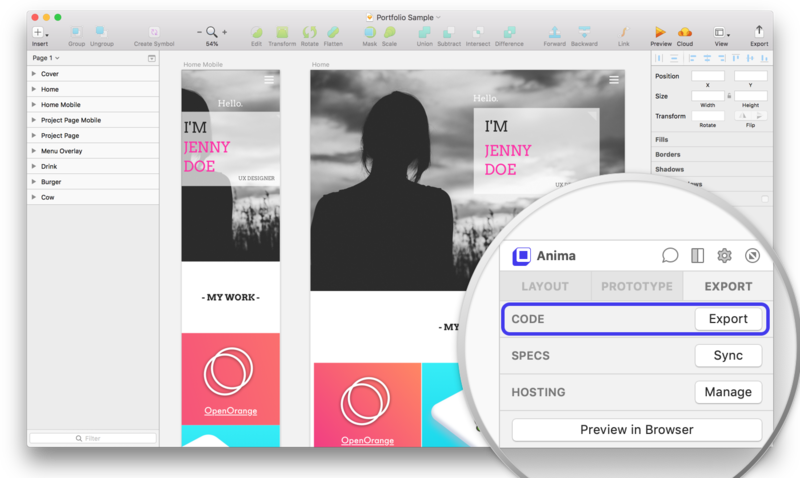 Anima allows designers to create Responsive and Interactive websites right inside Sketch, and export full HTML & CSS, ready for deploy. When hosting with Anima, we're doing numerous optimizations to improve the speed of the site loading time. Nevertheless, sometimes our customers are interested in exporting the package of files to host on their service or add some custom logic to it. And while we encourage you to host it on our fast servers, whenever you want to export it — Well, that is your right. The Code Package is a zip file that contains HTML files, CSS files, images and fonts. 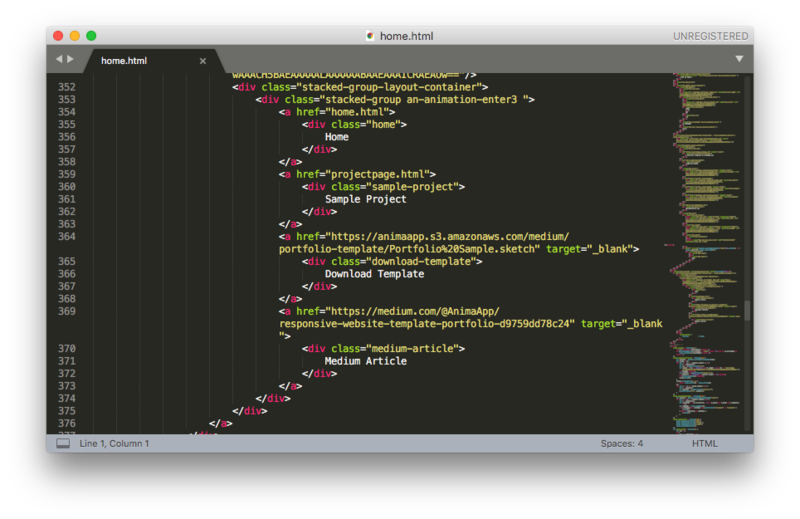 Opening the HTML files locally present the website perfectly in your browser. 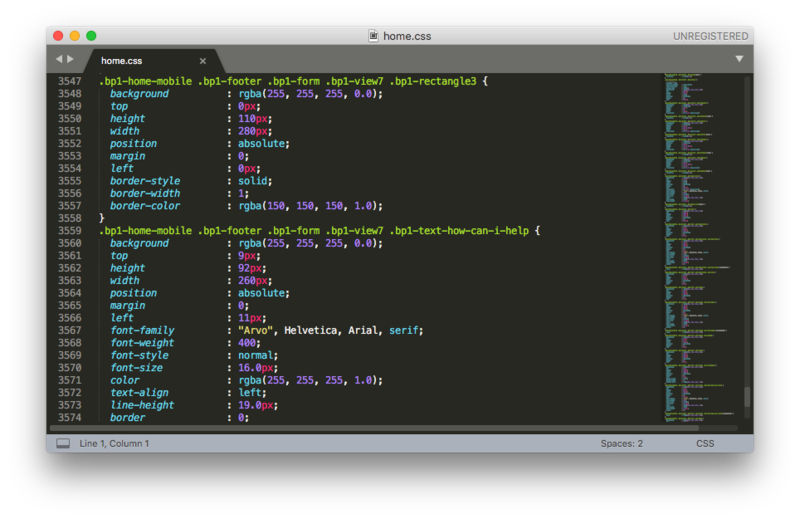 If you open the files in a text editor you’ll see a well structured HTML and CSS. In order to keep your website pixel-perfect, easily made responsive, load crazy fast, yet clean & readable — We made some choices for you about the code style. Here are some questions we get about code packs. Developers tend to use CSS relative position, while Anima composes CSS with absolute position by default. 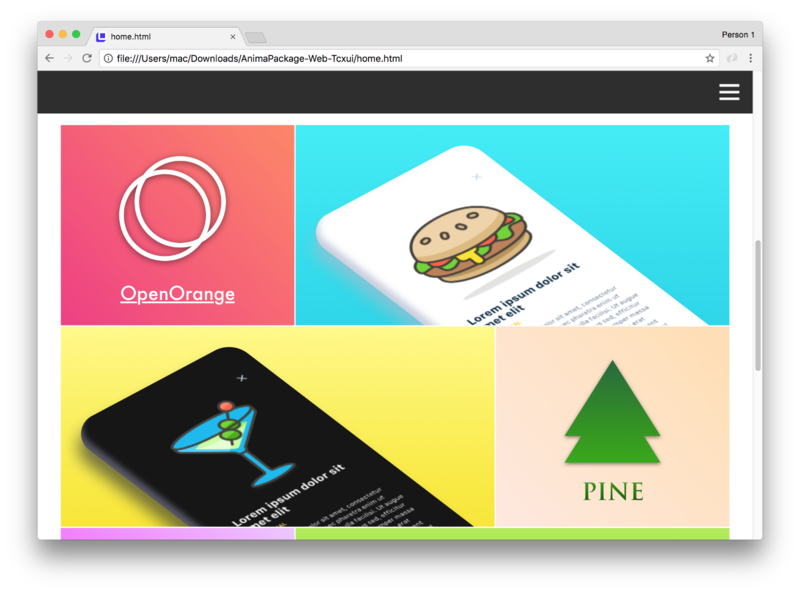 The upside here is getting high fidelity, bringing your design as close as possible to pixel-perfect in browser. You’re not likely to see a line break where you didn’t expect it (relative position downside). How to work with Dynamic Content? Usually, most of your content is static, rather than dynamic — i.e logos, titles, menu buttons, backgrounds, etc. However, if you give your exported code to a developer, and need layers to move relatively to one another, simply use the Stacks feature. When you use Stacks, layers expand and push each other. 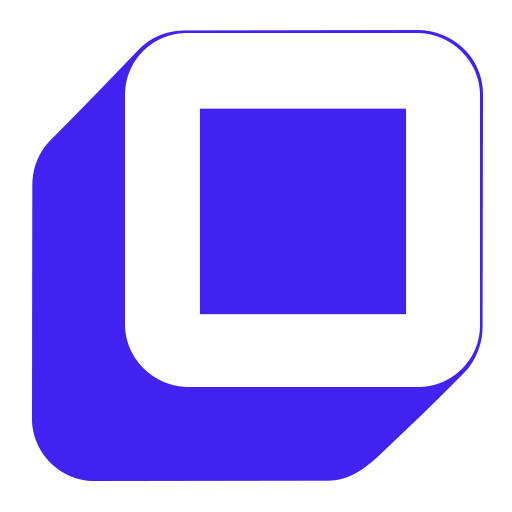 The composed CSS uses Flex-boxes rather than absolute position. Stacks also support symbol overrides for text, and hiding layers to realign. 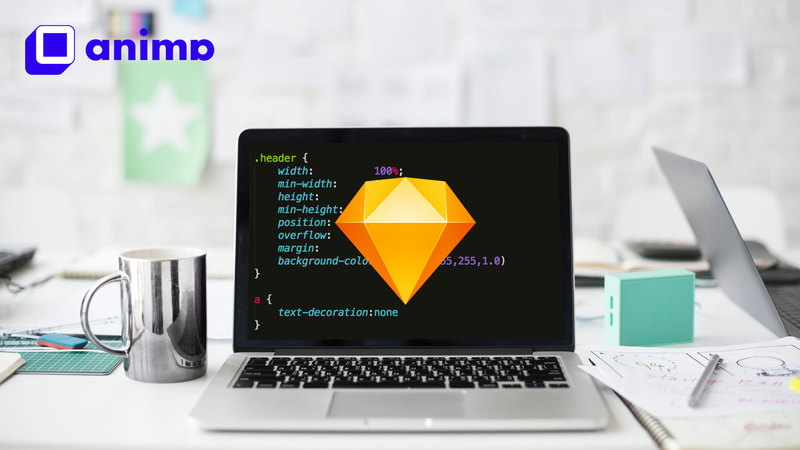 Breakpoints allows you to create an artboard for each screen width — for example Mobile, Tablet and Desktop. 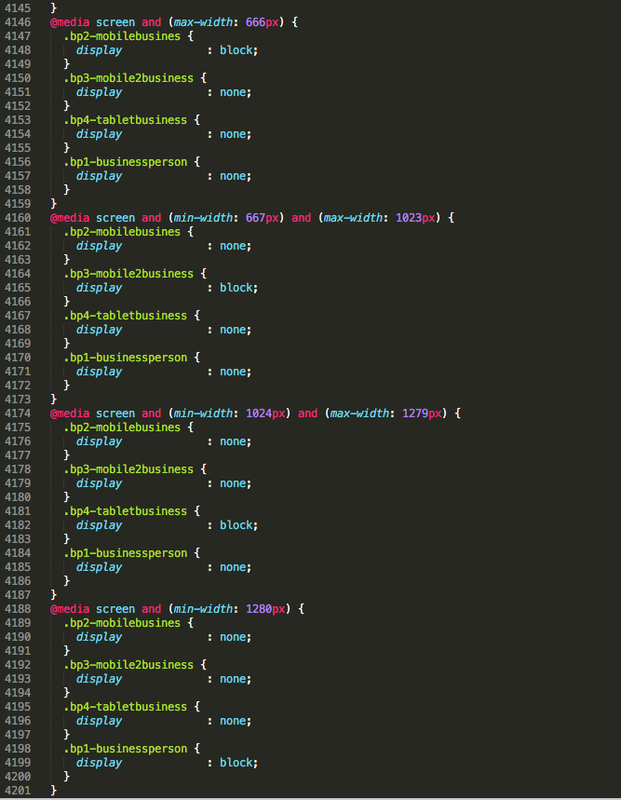 When generating code, ANima makes a single HTML file and a corresponding single CSS file from these artboards. Breakpoints are efficient since it uses native CSS media queries. It allows the browser to skip rendering everything that isn’t relevant for the current screen size. Another bonus, is that images are loaded only for user’s screen size, being sharp and not over sized. And, we’re loading it top to bottom for making it even more slick. Why did my Forms break? When you’re hosting your website with us, we also give you a tiny backend server to support your forms. It allows users to send to that server, and we store it for you. This server-side code cannot be simply exported and included in the code package, as it needs to run on a server rather than on the browser (which is called client-side code). Therefore, when exporting code with forms, you’ll have to implement your own server to capture form submissions, and store your data.